To see the phonetic symbols in the text, please ensure that you have installed a Unicode font that includes all the IPA symbols, for example Charis SIL (free download). Browsers: Some older versions of Internet Explorer and Safari have bugs that prevent the proper display of certain phonetic symbols. I recommend Firefox (free) or, if you prefer, Opera (also free). Native speakers of British English, do please complete the 2007 pronunciation preference questionnaire and get your friends, family, colleagues, and/or students to do so too. Every now and again the Guardian’s cartoonist Steve Bell gives us an illustration of the popular stereotype of upper-class RP (U-RP). Here’s yesterday’s offering. The Queen, like Prince Charles, is regularly represented as saying /aɪ/ instead of /aʊ/. So Gordon Brown appears instead as Mr Brine, and is commanded to sit dine. You can work out for yourself what Nigh represents. U-RP speakers do not, of course, have pairs such as down and dine, how and high as homophones. It’s just that the unrounded and somewhat fronted offglide of their /aʊ/ (something like [aɨ]) may make it seem that way. The spelling heving, equally, does not imply homophony of bad – bed etc. It’s just that the Queen’s speech (unlike, say, Princess Anne’s) is perceived as having a somewhat raised variety of /æ/. Lastly, rhotic speakers may need to be reminded that the spelling orff for off does not imply any /r/, but merely signals the use of the antiquated /ɔː/ before a voiceless fricative instead of the current mainstream /ɒ/. Showing not only off but also on as pronounced this way is surely a false exaggeration. More long days in the studio, monitoring dictionary pronunciations (see blog, 1 June). But now we’re doing American English. It’s brought me up sharply against the problem of deciding what we mean by the vague expression General American. It is usually defined negatively, as a United States accent that does not include noticeable eastern or southern characteristics. American dictionaries, with the exceptions of the ancient Kenyon and Knott and the specialist Dictionary of American Regional English, give their pronunciations only in this GA. Naturally, I followed suit in LPD, basing myself largely on Webster’s Collegiate, the Random House Dictionary, and the American Heritage Dictionary. 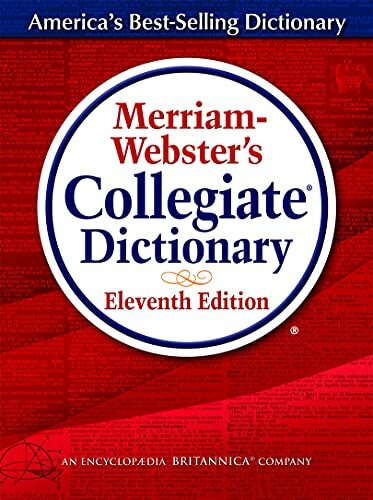 Nowadays I also use the on-line Merriam-Webster. When EPD started to include American pronunciations it did the same. As for OPD, whose American editor Bill Kretzschmar has a distinguished background as a dialectologist — after six columns of agonizing it too ends up with much the same sort of thing, now under the new name ‘the American English pronunciation model’. This is fine for the lexicographer. I have a very clear idea of what I expect for GA and what I do not expect. But now I have actual actors in the recording studio, reading the lists of headwords. There are two problems: (i) they’ve been living in England for a time, and (ii) they do not conform in every detail to my idea of GA. The second problem means that whereas my GA model caters for a distinction between marry and merry it is pointless for me to insist on it with an actor who is one of the many millions of GA speakers who don’t make any such distinction in vowels before /r/. Likewise with the potential vowel contrast exemplified in dawn versus Don. Braun? Nestl�? I think the latter is now correctly pronounced, but it used to be "nestle" in the UK. Seeing the VW logo, I was rather hoping for a reference to Audi's Vorsprung durch Technik (which has its own WP entry, complete with IPA). Yes, the German electrical brand Braun is indeed usually /brɔːn/ in English, even though this word, the German equivalent of ‘Brown’, happens to coincide with the English word in both sound and meaning. Spelling pronunciation rules. For Nestlé, on the other hand, we have generally abandoned /ˈnesl̩/ in favour of /ˈnesleɪ/. But we usually say something along the lines of /ˈvɔːsprʊŋ dɜːx ˈtexnɪk/. Browsing through LPD, as one does, I noticed a puzzling entry. This must be a name, because it begins with a capital letter. And there must also be a common-vocabulary word with the same spelling, because at the end of the headword we see d~. And why is there this strange mismatch between the spelling, with a, and the pronunciation with /e/? This entry wasn’t in the first edition of LPD: I’ve checked. So I must have added it when preparing the second edition (2000). Yet I have entirely forgotten what it is. It’s not in the Concise Oxford, not in the big OED, not in Webster’s Collegiate. Nor is it in the extensive list of proper names in the Dictionnaire de la Prononciation Française (Warnant). I’ve tracked it down to the Macquarie Dictionary, which is Australian. I must have added it as part of the drive to increase the number of non-British, non-American words in LPD. It turns out that the Dumaresq is an important Australian river, forming part of the boundary between Queensland and New South Wales. Wikipedia says it was named in 1827 after Lt-Colonel Henry Dumaresq, Governor Darling’s assistant and his wife’s brother. There’s a Dumaresq Street in Sydney. A dumaresq (lower-case) is “a device which gauges the rate at which an enemy ship, missile, etc., is moving”. It was named after its inventor, Rear-Admiral John Saumarlz Dumaresq, 1873-1922, Australian naval officer. Yes, it ought to be pronounced with /æ/, not /e/. That must just be a mistake in LPD. Or did I consult an Australian and misidentify his raised /æ/? Volkswagen, Weetabix, Whiskas... brand names are a familiar part of every native speaker’s vocabulary, and often thoroughly global. Yet ordinary dictionaries mostly don’t include them. Whether we want to tell EFL students how we pronounce them, to reassure native speakers on what to say, or to document the current state of the language for the instruction and delectation of future generations, brand names (trade names, commercial names, trademarks) do in my view deserve a place in a pronunciation dictionary. When Jones was editor, there were I think no brand names in his EPD. So the likes of Mazawattee, Dolly Blue and Craven A, now only of historical interest, remained undocumented. Even Coca-Cola was not mentioned. The current editors of EPD have now changed its policy about trade marks and include them. Brand names are not without their problems. Many years ago I noticed that various pronunciations of Hyundai were in use in British television advertisements, though they now seem to have settled on /ˈhaɪʌndaɪ/ — very different from the Korean source [hjəːndɛ]. The American version, /ˈhʌndeɪ/, is closer. From the English pronunciation of Kyocera, /ˌkaɪəˈsɪərə/, you’d never guess that it is an abbreviation of Kyoto Ceramic (Kyōto Seramikku). The modern lexicographer has resources unknown to earlier generations. If I want information on a trade mark, I can go on line and consult Wikipedia or Google. (How do you think I amassed all these nice graphics?) Sometimes the brand owner’s website even carries an indication of how the name is to be pronounced. Recently I was trying to discover how to pronounce Freixenet. On the company’s British website I found clips of their television advertisements, in which the voice-over clearly says /ˈfreʃənet/. In the original Catalan, on the other hand, this word has final stress: [fɾəʃəˈnɛt]. The company’s American website is useless in this respect, offering no video or sound clips, just the ambiguous specification ‘pronounced "fresh-eh-net"’. Double dactyls (blog, 11 June). What talented correspondents I have! Here is Nigel Greenwood’s version of a Vladimir Nabokov double dactyl. Stressed � la russe, i.e. Hangar (yesterday’s blog). Nigel also tells me that hangar is from a Frankish/Germanic word cognate with "homeyard" or "ham(let)-yard": not so much a cattleshed as a large barn for general storage. Flaubert, Proust, St-Exup�ry — they've all used the word! According to Burchfield’s edition of Fowler’s Modern English Usage, he says, when first used in English it was pronounced as in French, i.e. as [(h)ɑ̃ɡaʁ]. Given away by a single word. A newcomer turned up at the running club last Sunday. I asked him what his name was. He replied, “[ˈkɪvn̩]”, using a rather close [ɪ]. So I said, “Welcome, Kevin — you must be from New Zealand.” And he was. Job. UCL is looking for a part-time fixed-term Teaching Fellow in Phonetics, to start in September. Closing date: 5 July. Further information here. the ODP has the /g/ in parentheses. You will not be surprised to hear that I think LPD is correct. That is, I believe that in RP the hangar in which an aircraft is kept is normally pronounced /ˈhæŋə/, which makes it a homophone of the hanger on which you hang your clothes. It is significant that the actor whose job it was to pronounce hangar for the EPD CD-ROM, who probably worked from orthography rather than from phonetic transcription, chose to say it not as /ˈhæŋɡə/, the first choice in the printed EPD, but as /ˈhæŋə/. Evidently he thought as I do. The general rule is that we pronounce bare ŋ only in morpheme-final position. That is why we have bare ŋ in bang#er, sing#er, long#ing but -ŋɡ- in anger, linger, tangle. As is well known, the comparative and superlative forms longer, longest, stronger, strongest, younger, youngest are irregular in that they retain ɡ despite the morpheme boundary; and, in the other direction, words that have bare ŋ despite seemingly having no morpheme boundary include gingham, dinghy (usually), place names such as Birmingham, Nottingham, Buckingham which had a morpheme boundary a thousand years ago but not today, and ... hangar. Hangar is quite a recent word in English — barely a hundred years old. It reportedly comes from a French dialect word meaning ‘cowshed’, allegedly because it was in a cowshed that Blériot, the first man to cross the English Channel in a heavier-than-air aircraft, stored his plane. I surmise that the reason for its general pronunciation as /ˈhæŋə/ is contamination from the bimorphemic hang#er. Here’s the text of an email I received yesterday, suitably anonymized. It is not untypical. Hi, my name's XYZ I'm 23 years old and I'm brazilian. I'm graduating on languages and literature at ABC University. Now I'm interested in know more about a PostDoc in acoustics. I really want to be in contact with someone that can help me, specially a specialist or a teacher in acoustics. I want to know more about this area and I believe that London's University is the correct place to be in contact with someone that can give some advices and informations. I'm really interested in your researchs too. Could tell me where I can find some of your researchs? 1. I am retired, and no longer teach at UCL. 2. I was in phonetics, not acoustics. 3. A post-doc is someone who already has a PhD. Is that really what you mean? 4. London has many universities. What do you mean by "London's University"? 6. However, since "research" is an uncountable noun in English, it cannot normally be used in the plural. The nouns "information" and "advice" are also uncountable. Therefore you cannot in English say "informations" or "advices". To make four errors of this same type in one email suggests that you are not alert to the uncountable / countable noun differences between English and Portuguese. Consult a good EFL dictionary such as the Oxford Advanced Learner’s Dictionary or the Longman Dictionary of Contemporary English. Even my small Collins Portugu�s-Ingl�s Dictionary can tell you that "conselhos" (mpl) = "advice" (sg) and "informa��es" (fpl) = "information" (sg). 7. There are several other serious mistakes in your English. If you wish to study at a British university, you will need to demonstrate a high standard of English, higher than that shown in your email. 8. Details about graduate (= postgraduate, but not postdoctoral) study at UCL, including how to apply, are easily found on the Web. Go to www.phon.ucl.ac.uk/courses/pg/. 9. If you want to do graduate work in phonetics and linguistics, a degree in languages and literature may be a sufficient qualification. For acoustics it is certainly not, since acoustics is a branch of physics and would require a science degree. 10. You should not address a university professor whom you do not know by starting with "Hi". This would be appropriate only as an informal greeting. Perhaps you are also not alert to the differences between formal and informal styles of English. Again, a good dictionary such as those I mentioned above would tell you about this. 11. If you want to be a postgraduate student, you ought to have been able to find out all the above information by yourself. 12. Likewise, if you are really interested in my own research, you can easily find it on the web. 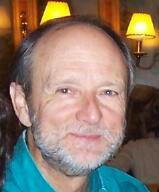 Virtually everything I have written over the last dozen years is available on-line. My home page is www.phon.ucl.ac.uk/home/wells/, but this is something you ought to have been able to discover by yourself using Google. I hope this is all helpful rather than discourteous. Thank you for your email. Unfortunately I am now retired, and cannot advise you. Details of study in the UCL Department of Phonetics and Linguistics are to be found at www.phon.ucl.ac.uk/courses/pg/. In response came the following abrupt message. Esta � uma resposta autom�tica.No momento n�o posso responder pessoalmente,pois estou fazendo algo de importante, assim que poss�vel entrarei em contato. Would it have been better to send my first, long, reply? One of the proper names regrettably missing from LPD is Athenry, the name of a place in County Galway, Ireland. It is best known nowadays through the song The Fields of Athenry, composed by the Irish folk singer-songwriter Pete St. John. How Mr St. John pronounces his surname I do not know. But I do know how to pronounce Athenry. There are two music clips available on the web, through which you can listen to the song and hear it pronounced. One has just the first verse, and can be accessed via the composer’s website: the name of the singer is not given. 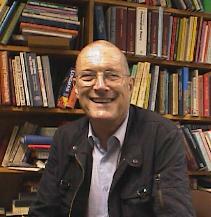 The other, complete, version is sung by Patrick Sarsfield. Athenry is pronounced /ˌæθənˈraɪ/, which is not the most obvious pronunciation given the spelling. Michael, they are taking you away. Now the prison ship lies waiting in the bay. we had dreams and songs to sing. EPD has had an entry for Athenry since Daniel Jones’s time, though Jones pronounced it with [ɪ] in the middle syllable. The use of a strong vowel [e] in the middle syllable is presumably restricted to singing style. The name is of Irish Gaelic origin, Átha an Rí ‘Ford of the King’. Since the Irish for ‘king’ is pronounced [rʲiː], the name was obviously borrowed into English many centuries ago, before the Great Vowel Shift operated to turn the last syllable into [raɪ]. Michael Covarrubias points out that the ‘new’ pronunciation of St John’s wort (blog, 13 June) involves not only a change of vowel but also a new stress pattern. He also comments on the differing British and American treatments of names including Saint. True. The wildflower name I learnt at my mother’s knee was /sənt ˈdʒɒnz wɜːt/. (I apply the usual LPD conventions that raised and italicized symbols denote optional sounds: the weak form of saint may or may not have a plosive at the end, and the central part may be either a syllabic [n̩] or [ən]). I believe this is still generally the botanists’ pronunciation. But what the British aficionados of herbal remedies say is /sənt ˌdʒɒnz ˈwɔːt/. And the Americans, of course, do not use the weak form of Saint: so for them it’s /ˌseɪnt (ˌ)dʒɑːnz ˈwɔːrt/. The same BrE-AmE difference is to be observed in all other saints’ names and places, churches, hospitals and so on named after saints: St Albans, St Andrews, St Catherine, St Davids, St Helens, St Paul’s Cathedral, St Petersburg, St Vincent etc etc, all with a weak vowel for St in BrE. I find it quite difficult to remember that Mount St. Helens in Washington state, since it is an American name, is meant to be said with /seɪnt/. Americans obviously have the opposite problem with St Helens in Lancashire. The American insistence on a period (BrE: full stop) after the abbreviation St., and the British reluctance to use it, have nothing to do with the matter. Nor really has the surname St John, by some of its bearers pronounced /ˈsɪndʒən/,as in the former Norman St John-Stevas, now Lord St John of Fawsley. Nor the surname St Clair, which has generally morphed into Sinclair. If you didn’t know, you’d expect, on the basis of the spelling, that the English pronunciation of the computer operating system Linux would be /ˈlaɪnəks/. But in my experience most computer people call it /ˈlɪnəks/. 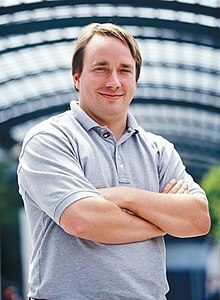 It is named after its inventor, Linus Torvalds. (Apparently he originally intended it to be called Freax. It replaced something called Minix.) We are unusually lucky in that we have first-hand evidence of how Torvalds himself intends Linux to be pronounced. 'li' is pronounced with a short [ee] sound: compare prInt, mInImal etc. 'nux' is also short, non-diphtong, like in pUt. 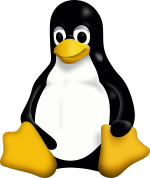 It's partly due to minix: linux was just my working name for the thing, and as I wrote it to replace minix on my system, the result is what it is... linus' minix became linux. Far better, he has made available an audio sample in which you can hear his own pronunciation. Listen to it. What do you think? In the clip you also hear Torvalds’s pronunciation of his own name. Just to be sure, I asked Olle Engstrand of the Institute of Linguistics, University of Stockholm, how the name would be pronounced in a standard Swedish accent. He replied as follows. A Standard Swedish pronunciation would be [ˈliːnɵs ˈtʰuːɹvald̥s]. The rhotic could also be a tap, a voiced alveolar fricative or (less likely) a trill. But I think that an approximant would be more typical in this position. On the audio clip I think Torvalds uses a tap [ɾ]. But then he’s not a Swede but a Swedish-speaking Finn. There’s a further uncertainty: is the first vowel of Linux meant to be short, as Torvalds describes, or long, as in his own name? In English, at any rate, it’s short.